Are company meetings something you do well? Consistent and open communication with your team, from top to bottom, is critical for any high functioning company. In this article, I hope to convince you of the importance of communicating with your team through the effective use of company and departmental meetings and also give you some directions on how you might structure regular and dynamic meetings for your company. There are several types of meetings you should consider for your company. The first meeting we should all be implementing in our companies is an “All Company Meeting”. This involves, just as it says, everyone. This includes anyone that has even one additional employee besides themselves. There are several reasons these meetings are critical to the health and culture of your company. The best reason is that it provides cohesion and continuity and an environment where your team rarely if ever, gets to see everyone at the same time. Secondly, it is a great time for training since your team is all together. This is a time where you can cast, re-inforce, and be an evangelist for your company’s vision. Your team needs to hear from you over and over about the purpose and values of your company and how the team can apply these values every day. Now the question arises, how often should an “All Company Meeting” occur? I believe once a month is appropriate. You should choose a day and a week that is set in stone, say for instance, the first Monday of every month. This would be easy to remember and your team will develop a habit of knowing that this is the day, every month that “All Company Meeting” occurs. You should hold this meeting live in your shop or at another location if a shop or office is not something you have yet. You can also reserve a small private or a semi-private area in any restaurant for your meeting. I often get the question of, can I hold these meetings via tech solutions like Zoom, FaceTime, Skype or other similar apps or programs? I would urge you not to use that option. Make this an in-person meeting. Tech solution lends itself to distraction and lack of attention by the employee. Honestly, we’ve all done other things while “participating” on a webinar or conference call. Make the decision to do what it takes to be together in one location. This will also communicate to the team the value and importance you put into this time together. What should your meetings cover? #1 Develop an agenda ahead of time. I recommend developing an agenda and having the same outline every month. This will prevent random or roaming meetings. Keep it on target and limit it to the time allotted, 45 minutes to an hour at most. You should review one value of your company. Have a discussion about why it is important and how it guides everyone. Share the examples of what it looks like when that value is working and not working. I was part of a company where we had a tape ball, from a job site, that was the size of a basketball. We would toss it from person to person, with each one reading one of our core values. Believe me, they knew our values because we recited them over and over again. #2 Have a topic & sign in sheet. I used to highlight a safety topic each month. It becomes part of the culture of talking about being safe. I would have a topic and a sign-in sheet in either paper or electronic form to record that. You should do this regularly in case your insurance company or your OSHA ask for such proof. Your team needs to hear back about initiatives and goals you have previously set. Every business owner I have ever known, is constantly rolling out some bonus programs, goals or other new crazy ideas, only to never hear another word about it again. It becomes like the boy that cried wolf! They would roll their eyes when you bring them the latest and greatest program. Reduce your crazy ideas to a few manageable and effective ones and then follow through and let your team know the results. #4 Share revenue & profitability results. Share revenue and profitability results for the previous months along with your day-to-day results, if this is part of your culture. #5 Bring to attention, anything that needs correction. You should include some administration items in your meetings as well. This could be something new, a correction or a re-centering of something that needs some attention by the field staff or praise of something that is required by your admin staff. This might be a reminder to submit requests for time off or maybe a highlight of how to record time accurately. It could be a reminder of company uniform or required tool lists, you get the idea. There is no other time you can say important things to everyone at the same time. I really love public praise of the team. It gives self-confidence to the team members and they feel good when you appreciate their work. Read a review or an email received or highlight an experience you had catching someone doing something well or right. Give away gift cards to Dunkin Donuts or Starbucks. The praise should be authentic and real, not the “everyone gets a participation medal” type of thing. Look for ways to praise everyone eventually. If there are team members that have never received praise, then it’s time to have a one-on-one with them. #7 Let team members speak. Look for opportunities to include others to have a part in this meeting as well. There shouldn’t be the sense of the owner preaching on his or her soapbox for an hour. #8 Pay them for coming to the meetings. A final word about the compensation for company’s meeting argument. This is not meant to be a legal advise, so please contact an expert in your state, but it is widely held that if you require an employee to be somewhere for your purposes, you are required to pay them. I see all sorts of arguments and workarounds from business owners and this is the biggest reason I hear company straight-up refuse to hold company meetings. I would simply resolve that this is a critical meeting and you should have a lot of money in your budget for it. Some states allow you to have a separate pay rate for training or meetings, but I would be careful about making a payroll nightmare in addition to creating ill-will with your employees. The next level of meetings that are critical to your organization are “Management Team Meetings”. The first group in this category are your field leaders, commonly called foreman. I recommend you to meet with this level weekly, but at a minimum, bi-weekly, as in the “All Company Meeting”. I recommend this to be an in-person meeting but alternating a video meeting with a live meeting could also be an option for this group. Like any other meeting, an agenda is critical. #1 Start with a “Big-Win”. Start the meeting with a big win from each person. This teaches positive thinking and sets a positive tone for the meeting. KPI (Key Performance Indicator) reports for areas that are relevant to these folks is critical here. It would include job profitability, hours bid to hours actual, materials estimated to materials actual and maybe recorded change orders or customer’s survey, if that would be pertinent to your company. These reports can lead conversations around best practices and feedback that can improve the entire field management team. #2 Discuss new hires & current employees. You can have discussions about new hires as well as talk about current employee’s issue that need to be addressed, such as, how team members are doing, what to teach, and how to encourage those that need it. #3 Give a general overview of the pipeline. A general overview of work pipeline is always helpful. Crew leaders like to know what is coming in the near future as well as general status on the backlog of work. #4 Coach and brainstorm ideas. This is the meeting where you can coach your field leadership. You should also prepare and train word tracks for dialogue between the field leaders and customers and painters. These folks started as painters typically, but most certainly need some coaching on communication with the people they are asked to manage and interact with. Always conclude this meeting by asking if they need anything from you. This gives a sense that you are there to support them, you are committed to do your part and making them successful and to approve the company and their experience. The next meeting is your “Operations Meeting”. This meeting is a general meeting that keeps everyone on the same page. It should include all of your key, non-field people. The items in this meeting are discussed below and they should apply broadly to the general operation of your company and give an overview of all the normal day-to-day operations. Specific deeper dives should be separate departmental meetings like marketing and accounting. This provides cohesion and gives everyone a general overview of the current status of key initiatives, even if each person does not have a key role in that function or initiative. I love the idea of doing a book study at that level. This provides the platform of learning all together around the same theme. One suggestion is the “Tools of Titans” by Tim Ferriss. These are typically no longer than two pages. You can pick the ones that are most applicable to your team. I also love Patrick Lencioni’s “Five Dysfunctions of Team”. This is a great book that will, in a gentle way, open dialogue about how your team might be operating with some dysfunction and open up a discussion about fixing these areas. There are hundreds of great books that would be great for your team to read together and you can choose any of them. 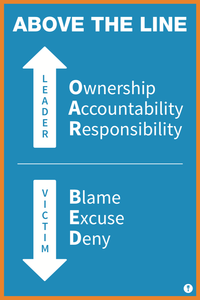 Have each team member report on the area of their responsibility. One reporting unit might be your estimating and sales team. Reports that might be useful would be the number of bids and dollar amount to close bids and dollar amount. You should also look at job profitability and report on profitability by lead source. This is useful to see where your most profitable jobs are coming from and some lead sources where you might consider not pursuing. The operations team should report on the items that are important to them. Report on any other operational areas that would make sense for your team. Marketing and accounting should be addressed at a basic level for general informational purposes. It is good for the team in general to know initiatives that are happening so they can be prepared should they need the information for customer interaction. There is nothing worse than having an offer in the public that your staff knows nothing about. Accounting can be addressed in a general way, but deeper meetings can be done one-on-one with that person. #4 Actionable items and deadlines. This operational meeting should have action items with deadlines. Each action, item and due date should be recorded for review at the next meeting. The last type of meeting is “Departmental Specific meeting”. This is the meeting that does not require the time or input of your operations team. This should be done weekly and remotely because many people use remote bookkeepers and a screen share can be appropriate here. Marketing is another area where a one-on-one is appropriate. This should include current marketing initiatives and reports of marketing data, future campaigns and marketing calendar. These things can all be discussed regularly at these meetings. Set them in stone. If they are flexible, then no one would be committed to them. #2 Everyone is expected to be on time. This goes for you too! This is good leadership and would let people know that start time is important. #3 Keep meeting to proposed length. Keep the meeting length to the proposed length. Do not let them get drawn out! It will not be uncommon for you to need to refocus the meeting to the topic at hand as conversation wanders to other topics away from where you started. Every sentence out of our mouth can be constructed as a positive one. Keep people accountable for their areas of reporting. If team members come to the meeting unprepared, have a private conversation with them and find out if there are any barriers to them being prepared in the future. Encourage them to make preparation a priority for the next meeting. Always coach and offer to help them when they’re stuck. In conclusion, communication with your team is critical for an optimally functioning company and the commitment of time and other resources are what is required to make that happen. If this is not part of your company’s culture, start today! Please email me to tell me of your success stories as you make company meetings part of your culture.